In this January 2018 file photo, cars head north on south Midland Avenue as seen through the damaged Jersey barriers that line the steep slope where there's frequent rockfall. 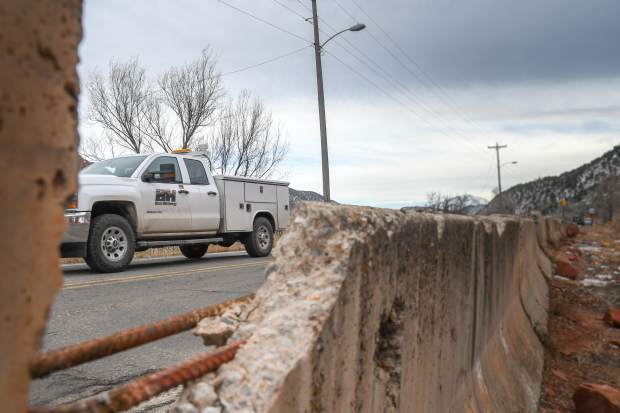 Glenwood Springs officials learned Thursday evening that the city will be the recipient of a $7 million federal grant to rebuild a troublesome stretch of South Midland Avenue that’s been on the city’s to-do list for several years. 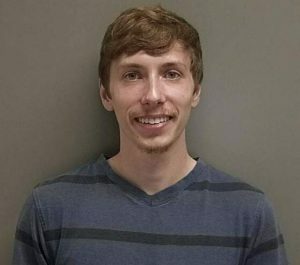 The Better Utilizing Investment to Leverage Development (BUILD) grant will bolster the city’s plans to reconstruct South Midland, replace and upgrade the waterline that serves the South Glenwood area, and add broadband infrastructure, according to a news release issued by the city. The road project and related work is planned for construction in 2019. Earlier this year, questions swirled around how the city was going to pay for the nearly $10 million road project, as City Council looked at several different design options. Additionally, the city on Thursday also received notification of a $151,750 grant from the Colorado Department of Local Affairs, which will go toward rock fall mitigation. The work makes up an additional component of the larger South Midland project. According to the news release, the South Midland project will improve access to emergency services, shopping and dining in the area. It also serves Sopris Elementary School and approximately 3,400 residents within city limits and up the Four Mile Road corridor who use the road daily. The U.S. Department of Transportation announced $1.5 billion in total grant funding for the cycle last spring to fund key regional and local transportation projects across the nation. “I strongly advocated to the Department of Transportation how important this infrastructure funding would be for Glenwood Springs, and I’m thrilled to announce it will be coming soon to help this important project,” U.S. Sen. Cory Gardner of Colorado said in the news release. Glenwood Springs Mayor Michael Gamba said South Midland is a critical road for many city and Garfield County residents. The city has also budgeted and approved a $1.2 million cash match for the project. South Midland is to be rebuilt in conjunction with the nearly $10 million replacement of the 27th Street Bridge that also serves the South Glenwood area. That project has also benefitted from state and regional grant money. City residents approved the renewal of the Acquisitions & Improvements sales tax in 2016. Matching funds will be paid for by A & I sales tax revenue.